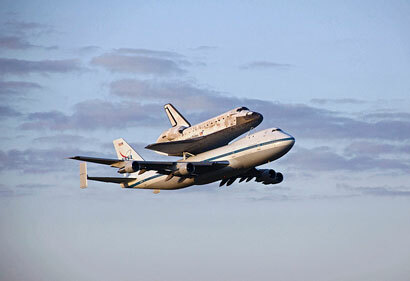 Shuttle Discovery flying on top of a Boeing 747 Shuttle Carrier Aircraft (Credits: NASA). Now that Discovery is safely delivered to the Smithsonian, I think I can tell the story of how we nearly lost her in July of 2005, and how well-intentioned, highly motivated, hard-working, smart people can miss the most obvious. It’s tough to know people who have died. Many of us knew the astronauts on Columbia and those on Challenger well. We had met with them daily, we had visited in their homes, we knew their families, their children. It is not an easy thing to lose a colleague; especially one who entrusted their safety to you. So don’t question whether we were motivated to prevent another loss. Discovery was the shuttle return to flight vehicle after the Challenger was lost; two and a half years were spent from January 28, 1986 until Discovery flew in September 1988. Many improvements were made which resulted in a safe space flight. Discovery was the shuttle return to flight vehicle after Columbia was lost; two and half years were spent from February 1, 2003 until Discovery flew in July 2005. Many improvements were made but safety was not assured. It was not until Discovery again flew in July of 2006 before she flew safely. That counts as the third “return to flight” mission for Discovery. You see, we dodged a bullet in 2005. One we should have seen coming but didn’t. – In the video below, the foam strike sequence. After the loss of Columbia, it became very clear that the loss of insulating foam off of the external tank caused damage to the heat shield which led to the loss of the good ship and crew. It was a devastating time. Tens of thousands of experiments, tests, and analyses were performed to discover why foam was lost from the external tank and how to prevent it. One of the most powerful series of test performed used a partial panel, about 2 feet square, of the aluminum skin of the tank covered with insulating foam. This test article was chilled on one side to the cold temperature of the cryogenic hydrogen fuel, and heated on the other side with flames simulating the heat generated by supersonic flight through the lower atmosphere. Adding high velocity airflow to mimic the high-speed flight conditions, virtually all the time the foam stayed on the tank. Only when small defects were embedded in the foam would some of that foam pop out under those strenuous conditions. All the tests and analyses lead to the conclusion that defects in the application of the foam insulation could cause foam debris to be generated during the early supersonic phase of shuttle flight. We informed the foam technicians at our plant in Michoud Louisiana that they were the cause of the loss of Columbia and then worked them overtime in training with new and exhaustive techniques on how to apply foam with no defects. 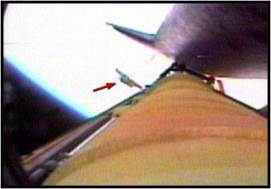 Many other safety measures were incorporated during those two and a half years; a new inspection boom with camera was built so that complete inspection could be made before shuttle re-entry; heat shield repair materials were tested and proven to work in the vacuum of space if repairs were needed, plans for safe haven at the International Space Station were formulated so the crew would be safe even if extreme, unrepairable damage were detected. Anybody who followed the shuttle program in those days knows all this. What you probably don’t know is that a side note in a final briefing before Discovery’s flight pointed out that the large chunk of foam that brought down Columbia could not have been liberated from an internal installation defect. Hmm. After 26 months of work, nobody knew how to address that little statement. Of course we had fixed everything. What else could there be? What else could we do? We were exhausted with study, test, redesign. We decided to fly. The launch seemed very normal, we had new cameras everywhere including one on the external tank itself. We all breathed a sigh of relieve when Discovery reached orbit seemingly without incident. The members of the Mission Management Team received an early briefing from the video review of no incidents; we boarded our planes from KSC to head back home, that mean Houston for me. After arriving in Houston, I checked in at Mission control, everything seemed normal. The MER engineers had nothing to report. I headed home after an extremely long and emotional day. It was on the drive home looking forward to dinner and sleep when I got the call. I think that must have been the worst call of my life. Once earlier I had gotten a call that my child had been in an auto accident and was being taken to the hospital in an ambulance. That was a bad call. This was worse. Think of the worst phone call you have ever gotten. This was the worst for me. John Muratore, my good friend, fellow flight director, and then the head of the shuttle program Systems Engineering and Integration office informed me in very flat terms that he was in the JSC video lab with head photo interpreter Cindy Evans who had uncovered evidence of a large foam liberation during the critical mach number regime which appeared to have impacted the left wing of Discovery. Just like Columbia. 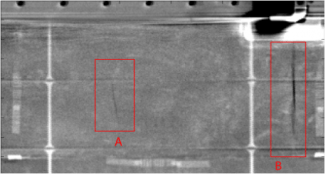 Evidence of a large foam liberation during the critical mach number regime which appeared to have impacted the left wing of Discovery (Credits: NASA). I made an illegal U-turn in the middle of NASA Road 1 and definitely exceeded the posted speed limit heading back to JSC and the photo lab. Here is one still frame from the video they showed me: A very large piece of foam coming off the tank heading for the wing. I thought I would not be able to breathe again. I thought of Eileen and her crew and how we had probably just killed them. I thought of all the work and time and how wasted it had been. I had no idea how I could possibly tell the team, the world, what had transpired. But unlike Columbia, this time the crew had the means to inspect their heat shield. Over the next hours, that inspection revealed no damage. The pictures and engineering data showed no damage. Positive and unambiguous evidence showed the heat shield intact and safe. Then and only then did I start breathing again. What Can Crack The External Tank’s Foam? So what happened? The video wasn’t really clear whether the foam missed the underside of the orbiter completely or struck such a glancing blow that the impact resulted in no damage. But that is not the real question to be answered. What really happened to the foam? We wouldn’t find out until December. God gave us a great gift during the previous year. We had ECO sensor problems. At the time that did not look like a gift. We filled the external tank with cryogenic fuel as a test in May and the Engine Cut-Off Sensors – little wet/dry indicators at the bottom of the tank – malfunctioned; indicated dry when they were wet. We scrubbed that tank from the first flight and sent it back to the factory to analyze sensors. Now an external tank is a fragile and valuable thing. On a good day the cost estimate for a completed, flight ready tank was $30 million. On a bad day, more than twice that. We never, ever, had shipped a tank back to the factory. We tested them at the launch site, made occasional repairs, took lots of measurements, but never had shipped one back before. When we shipped it back – did I forget to mention that Hurricane Katrina devastated New Orleans the month after we launched Discovery? Did I forget to mention that the steering mechanism on the trailer the tank was on failed so we sent another tank back to Michoud before the critical one? Months passed and right before Christmas, we got these X-rays from Michoud. Cracks in External Tank foam (Credits: NASA). They showed cracks in the foam. Foam where no installation defects existed. It turns out that the thermal cycles associated with filling the tank could crack the foam, especially in areas where there were two or more layers of foam. This never showed up in the partial panel tests; it only showed up when we “tested” a complete tank. Finally, this explained the Columbia foam loss. And the Discovery foam loss. And it had nothing to do with the improper installation of the foam. I flew to New Orleans within a few days, and called an all hands meeting where I publicly apologized to the foam technicians. They had not caused the loss of Columbia through poor workmanship. Those guys were reeling from the hurricane’s devastation to their homes and community, and has lived with nearly 3 years of blame. Thin comfort for me to apologize: so late, so little. We worked feverishly to remove foam on foam wherever we could, minimize it where it could not be eliminated, and the following July we were ready to try again. Discovery flew on July 4, 2006; no significant foam loss occurred. I consider that to be the real return to flight for the space shuttle. So were we stupid? Yes. Can you learn from our mistake? I hope so. So when you go to the Smithsonian and see Discovery there, think how lucky you are to see her whole, intact, and with her crews safely on the ground. You see, this is how I found out that we were never really as smart as we thought we were. Maybe that is a lesson that applies to you, too. – By Wayne Hale. Originally published on the Wayne Hale’s blog on April 18, 2012. 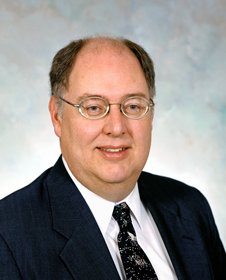 Views and opinion expressed are those of the author, and does not necessarily reflect as such those of the IAASS and ISSF, publishers of the Space Safety Magazine.